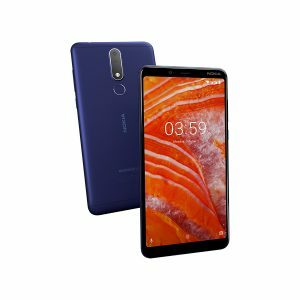 After being one of the first markets to receive the Nokia 9 PureView, that is already heavily advertised, HMD Global brought the Nokia 3.1 Plus to the Finnish market. The 3.1 Plus with 3GB of RAM and 32GB of internal storage is available immediately via gigantti.fi for €199, reports Suomimobiili.fi. It’s a bit confusing that the 3.1 Plus is priced exactly the same as the Nokia 5.1 Plus, and we should soon expect Nokia 4.2 to appear with a similar price tag. In Ireland, retailers Argos and Littlewoods for €660 and €699, reports TechBuzzIreland. The stock is fairly limited, with Argos offering customers to reserve the device, while Littlewoods has the phone in stock, but sells it at a higher price.